The pumpkin patch early this morning. 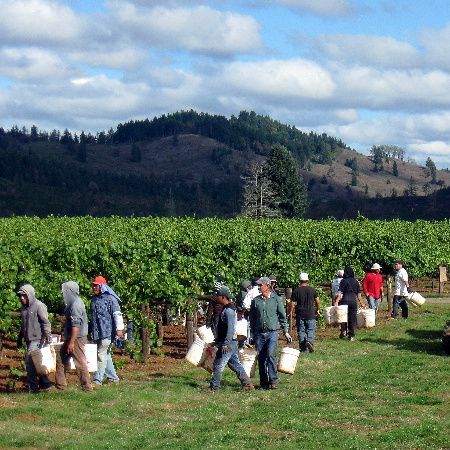 Crew harvesting grapes in the vineyard. From the kitchen of One Perfect Bite...Despite my best efforts to avoid the crowds, the scene at the pumpkin patch was right out of Armageddon. Inbound traffic was fierce and folks who made it into the lot were jousting for parking spots. It was just after nine in the morning and I had foolishly thought the early hour would protect me from the crowds I knew would gather later in the day. The original plan was to buy a sugar pumpkin for baking, but the scene at points of entry and exit weakened my resolve and plan B immediately went into effect. Plan B involved making a u-turn, the type that makes grown men blanch, and heading to the supermarket to buy the pumpkin puree that I had foresworn because it's outrageously expensive this year. Once the pumpkin was squared away, I headed to a local winery to pick up a special order we had made for friends who love Oregon pinot noir. I had just pulled through the gates when I heard a pop that sounded suspiciously like a gun. The sound repeated again and again and then a parade of cars of various types and vintage pulled into the winery and parked by the side of the rode. Men and women emerged from the vehicles in clown-car fashion and headed into the vineyards with buckets in their hands. The grapes have been slow to ripen this year and the crews are only now able to harvest them. They are trying to stay a step ahead of the birds who are having a field day in the vineyards. The guns I heard are air rifles designed to scatter the birds and keep them from the grapes while the crews go about their work. I had hoped to share more pictures with you because it is fascinating to see the speed with which these folks work. However, the camera was obviously making some of them uncomfortable, so I decided to put it away and just watch what they were doing. This was not the place to even intimate "la migra." I spent more time there than I had intended and that meant I had swap out the recipe I planned to share with you today. I'm featuring a quick bread that I like to make at this time of year. It's a pumpkin bread that's flavored with ginger and orange zest and it's remarkably easy to assemble. I think those of you who try it will really be pleased. Here's the recipe. 1) Preheat oven to 375 degrees. Butter and flour two 8 1/2-by-4 1/2-inch (6-cup) loaf pans; set aside. 2) In a large bowl, whisk together flour, baking powder, ginger, orange zest and salt. 3) In a medium bowl, whisk together sugars, pumpkin, melted butter, and eggs; add flour mixture, and stir until just combined. 4) Divide batter between prepared pans. Bake until a toothpick inserted in center of loaves comes out clean, about 50 minutes. Let cool 10 minutes; invert pans and transfer loaves to a wire rack to cool completely. Yield: 2 loaves. Mmmm that sounds good! We like all things pumpkin in our house. 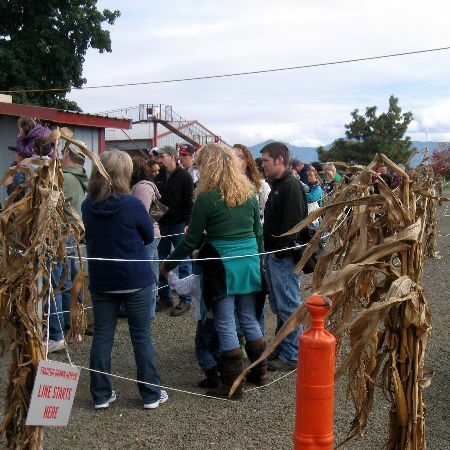 I would like to see a pumpkin harvest, but yes, the crowd could put me off... but I am also scared of doing u turns :-). We're heading to the pumpkin patch Monday. I'm hoping it's not as much as a zoo as the one by you! I'm super excited about the ginger in this pumpkin bread! Lovely! Sounds wonderful. I am getting ready to make a second loaf of pumpkin chutney bread. I love Fall food. Enjoyed your pictures. That pumpkin loaf looks wonderful. sounds delicious! I like the orange zest in there. I'll have to try that sometime. I'm going to be getting some pumpkin puree from the store today (I don't even attempt to make my own), so this bread is going on the list! What gorgeous photo's this one just makes me want to get the bowl out and start baking this! What a day! I'm so glad you opted for the pumpkin bread, it's one of my favorites. Warm and tasty. This is a perfect autumn bread. Gorgeous looking bread. It sounds wonderful!! Your pumpkin ginger bread looks a lot lighter/fluffier than most! YUM! I'm hoping to make it to the pumpkin patch this year before it is too late :) Thanks for sharing your pics - they are great! 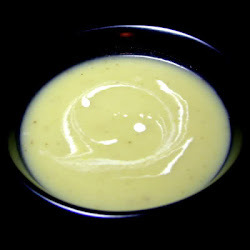 A great halloween recipe - looks delicious! just a couple of days back, i saw a friend posted a photo in facebook visiting a farm and was picking out the pumpkins, they are really really huge! Is that a very popular trend that everyone will go to the farm to pick during harvest? I would love the ginger scent in this pumpkin bread. Lol, I enjoyed your post...hope you picked up an extra bottle for yourself at the winery to just sit and enjoy :D.....off to make pumpkin bread!! It is so pretty! But what is a sugar pumpkin, I have never heard of it. I thought there was only one kind of pumpkin? Looks heavenly...a must try for me, especially since I love all kinds of breads, including pumpkin bread...don't you just love baking this time of the year..so much to harvest and so many things to make..BTW...I love those apples! Love the winery shot. In the past I was very against ginger in a sweet treat but I am slowly coming around. I like that your pumpkin. Read has orange zest in it. That's just enough to bring out the flavor of the pumpkin with a hint of fresh citrus. I also made a pumpkin cake tonight that I'm still working on this evening that I will post Monday or Tuesday. Thanks for sharing the yummy breakfast treat. Sounds like you had an awesome but busy weekend! This ginger bread is great though...I'm up for adding pumpkin into anything! This is going to be great for Halloween. Although it's not like other recipes that makes food look Halooweeny, I actually like it that way. Food that looks horrific just ruins your appetite. I want to go to a pumpkin festival! Mary, you're making me homesick for Oregon again! Speaking of home, I hope you're there. I'm worried about you with the quake in Turkey. Please say you're OK! Mary, you are amazing with all your recipes. This one is no exception and so seasonal which I particularly appreciate :). I can never get too much pumpkin. And now, I want to visit a pumpkin patch (with less crowds, of course!) Thank you for sharing, dear friend. I'm so glad that I'm able to type again. 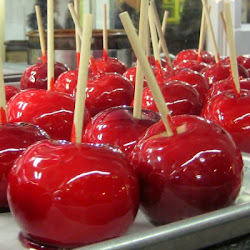 Your blog makes me hungry (and of course, it makes me smile!). Much love and warm wishes from Austin. Mary, I think I might make this tonight. I have been craving gingerbread. This is perfect! 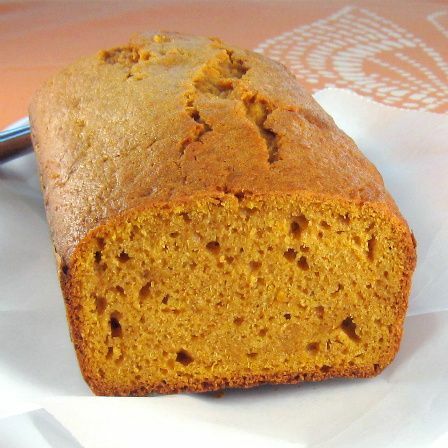 I've never been a big fan of pumpkin until a few years ago when I tried my mother in laws pumpkin bread. It was really nice and not to strong in flavor. It looks very much like yours. It turned out so a beautiful color! I promised my husband I would make pumpkin bread this weekend. I will definitely try your recipe.